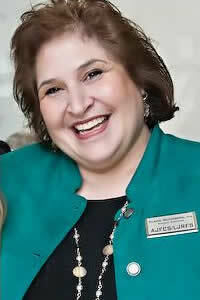 Dr. Elaine Rotenberg is a licensed clinical psychologist and Clinical Director of Alpert Jewish Family and Children’s. Dr. Rotenberg received her BA degree in psychology and education from Brandeis University and then went on to receive both her Master’s and Doctoral degrees in psychology from the University of Denver. Dr. Rotenberg completed her internship in the psychiatry department of Yale University. Dr. Rotenberg has worked at AJFCS for almost 16 years. In addition to overseeing the clinical services at JFCS, Dr. Rotenberg has directly supervised the Rosenberg Jewish Domestic Abuse program since its inception in 1996, the Mentoring 4 Kids program, psychiatric services, child and adolescent programs, and the residential programs. She is the consulting psychologist at the Meyer Academy, and is a much-requested speaker, lecturing on a range of topics including, communication, self-esteem, assertiveness, stepfamilies, responses to terror, mothers and daughters, depression, and other mental health concerns. She has presented nationally on issues about domestic abuse, developing quality improvement plans, and residential services for adults with disabilities. Dr. Rotenberg is regularly involved in outreach efforts into the community, and regularly seeks opportunities to develop interagency programs in the community whenever feasible.